When it comes to accessing specialist Parkinson’s disease treatment, long waiting lists are typical – no matter which country you live in. In Sweden there simply aren’t enough specialist neurologists – there are currently just 33 per one million inhabitants, half the European average of 66. And it can take six months to a year from when the doctors first consider advanced treatment for their patients, until they can actually start the patient’s regime. But the Swedes may now have come up with an answer to this problem: video calls. The Neurology Clinic and Innovation Centre at Karolinska University Hospital, near Stockholm, together with pharmaceutical company Abbvie Sweden, have launched an innovative project called ‘consultative neurology’. 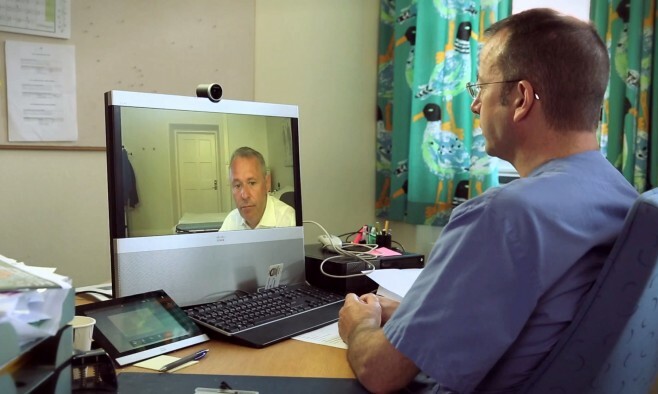 Using video technology to beam consultations across the country, Parkinson’s specialists are connecting with their general neurologist counterparts to get a second expert opinion on their patients. It means busy neurologists can see more patients in a shorter space of time, regardless of where they live in the country. 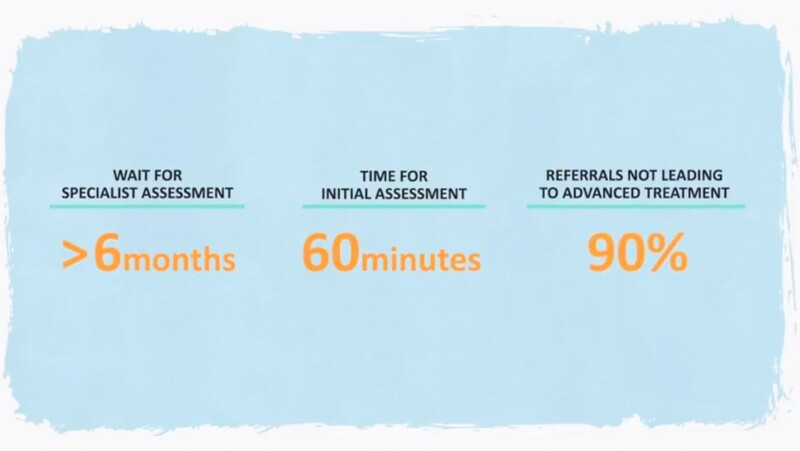 For patients, it means shorter waiting times and faster assessments. Christian Carlström, neurologist at Sophia Hemmet Hospital, says: “In 30 to 60 minutes we’ll discuss four different patients. Normally, these people would have been scheduled at four different appointments three months from now. The benefits for patients include fewer sub-optimal treatments. He is referring to his consultations with Anders Johansson, a movement disorder specialist at Karolinska University Hospital. Although they do not work in the same place, the simple video technology allows them to easily assess patients, case by case. Initial results of the new system of consultative neurology are very promising. Previously, patients had to wait about six weeks to see a specialist for an assessment. Now the time is shortened to one week. 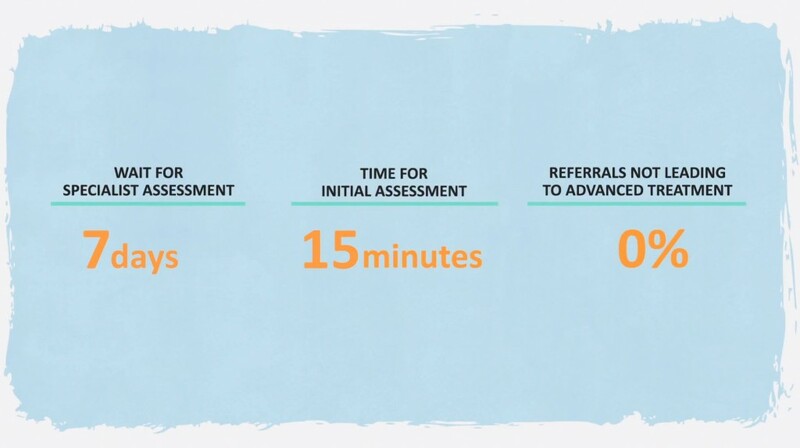 Instead of 60 minutes, initial assessment is now done in 15 minutes. Unnecessary referral visits had more or less been eliminated. “I think this will continue. It’s too good not to,” concludes Anders. Following these impressive early results, consultative neurology looks set to roll out to different parts of Sweden in 2016. Andreas Sundkvist, project leader at Innovation Centre at Karolinska University Hospital, says: “Results from the pilot presented in September 2015 were very positive and the interest from other regions is now huge. We have now initiated a national roll-out. With the promise of a nationwide roll-out, it looks like faster access to Parkinson’s treatment may soon be reality for the rest of Sweden.